in the heart of the small village of Montvenix under the station of LES ARCS (9km) the chalet(aged of 1750) is ideally situated to make you discover all the activities of the station and the charm of the village. The refinement of the interior decoration is at the same level of the framework(old woods and.stones, 2 cheminees, it used to be one of the famous restaurant of Les Arcs until last year. 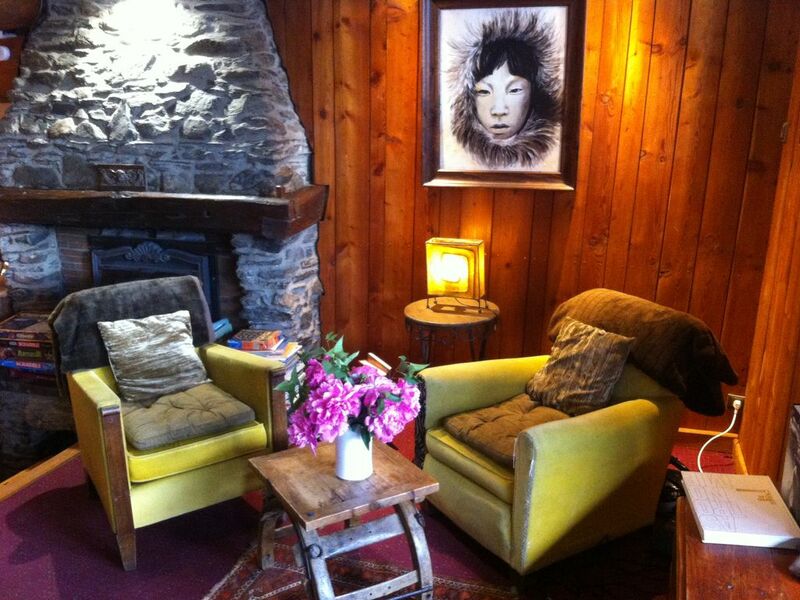 "Absolutely wonderful, quirky and beautiful chalet. Wonderfully decorated and very evocative. Marie was a very, very friendly and helpful host. A massive fireplace and wonderful views too made it a very enjoyable environment to be in on a ski holiday. A few very minor issues are that the 2 double rooms overlooking the living room aren't fully private as they have 3 walls and a curtain (overlooking the living room) instead of 4 walls, so these rooms are not ideal for couples. One of the two bathrooms is ensuite, so utilising the 2 bathrooms between 10 adults is an exercise in resource management. Also, due to the sheer age of the chalet, there is inevitably some dust in various nooks and crannies which sometimes set off dust alergies in a couple of people in our group. Overall, though, I would highly recommend this beautiful chalet and Marie is a wonderful landlady!" La posizione della Casa è comodissima per gli sciatori, in soli 4 km si raggiunge la fermata della teleferica che da Bourge Saint Maurice porta a Les Arcs 1600 da dove si può raggiungere, sci ai piedi, qualunque località del comprensori PARADISKI. Per chi non scia, d'inverno, le attrazioni non sono moltissime, i paesi sono abbastanza moderni e poco invitanti. L'ospitalità di Marie è gradevolissima, disponibile ma mai invadente. 1st Floor: Entrance, toilette, laundry room. 2nd Floor: Spacious livingroom and kitchen-area. 3rd Floor: Three bedrooms (two of them are half-opened to the livingroom-area), toilette bathroom and one bedroom with a bath included. 4th Floor: Two bedrooms with a low roof truss (it's hard to stand upright as a grownup). We went there as a group of 11 persons and had lots of space. The kitchen and the livingroom are well equipped for even more persons. The only problem is that there is only one toilette close to the bedrooms. séjour parfait dans un environnement magnifique. Le chalet est superbe, spacieux et très bien équipé. Une deco authentique. La propriétaire Marie est conviviale, de bons conseils et très serviable. Très beau village qui a su gardé tout son charme . A refaire sans aucune hesitation. Magnifique chalet dans un environnement somptueux. Spacieux, très bien équipé, deco authentique. Marie la propriétaire est parfaite dans son rôle. Accueillante, serviable et chaleureuse. Le petit village de Montvenix a su gardé tout le charme des villages de montagne avec une vue superbe. Nous avons passé un séjour en famille parfait. A refaire sans modération. Merci aux normands de votre visite ..! Que du bonheur de vous recevoir ..! The chalet is a old farm charm full restored and is now a 3 stars chalet. between Bourg St Maurice and Les ARCS. It is situated in the little village of Montvenix which is pedestrian and small(only 20 chalets)for very quiet holidays and ideal also for the sportive people which have all the sports around .The nearest slopes are at 4 kms where is the ski lift .You get to les Arcs by car directly or with the funicular.